"Creating Great Family Memories for over 40 Years"
Reserve Now ! Specials Page! All of our deluxe models are fully equipped with flat screen satellite tv/dvd/vcr, pots and pans, all linens, towels, living room seating for 6 and a dining table for 6. Bathroom has full tub with shower, toilet, sink and 6 bath towels. There are 2 Queen bedrooms and a bedroom with 2 singles. Rent a boat and motor for only $200 includes a tank of gas. 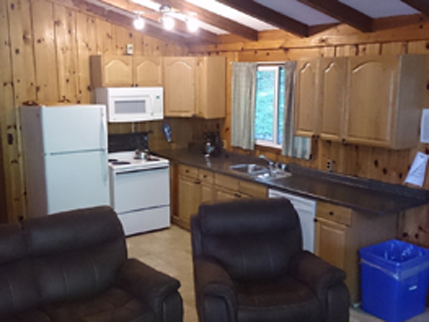 Sunny Point Resort offers the traditional Northern Ontario Cottage rental experience. On the edge of Muskoka, we provide a private, pet friendly lakefront cottage rental on pristine otter lake.